Women really appreciate it when their guys think outside of the box. 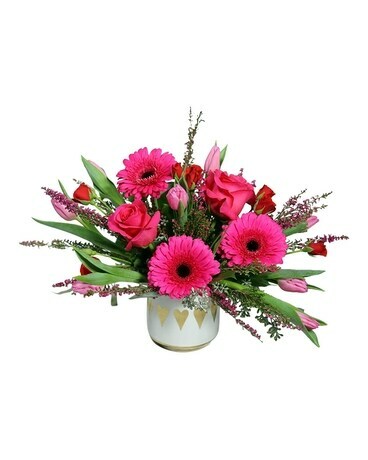 There's nothing like hot pink roses and gerbera daisies to prove that you're using your imagination and aren't afraid to let her know. Please Note: The deluxe will come in the same vase with more flowers. The premium will come in a larger vase and more flowers.